NPP members can now enjoy exclusive savings on bikes for all types of riders from Diamondback and Raleigh. Diamondback has been designing and building bicycles since 1978. The performance-driven manufacturer offers a wide variety of styles, from commuter to triathlon bikes, as well as hybrid and race-orientated road bikes. In every class, Diamondback offers models for both men and women, and many for kids. Raleigh Bicycles has been building high-quality and functional bikes since 1887. After 130 years, this fashion-forward and family-oriented manufacturer is still known for stylish urban bicycles. 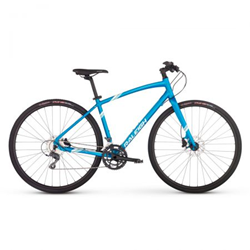 They offer an excellent selection of traditional mountain and road bikes, and even tricycles and unicycles. Through the Diamondback and Raleigh corporate program, NPP members have access to current model year and prior model year bikes at unbeatable prices. The respective deals are exclusive to the Diamondback and Raleigh websites and cannot be redeemed with other Diamondback or Raleigh dealers. National Purchasing Partners (NPP) is a trusted savings and solutions provider for businesses and their employees, delivering negotiated contract pricing on leading-edge products, from wireless providers to office supplies stores to world-renowned travel companies. If your organization is not already an NPP member, you can join at no cost today. NPP membership is free and there is no obligation to purchase. For more information, contact an NPP representative at customerservice(at)mynpp.com or call 800.810.3909. Ask about NPP’s employee discount program too.